Free shipping on orders over 100€! 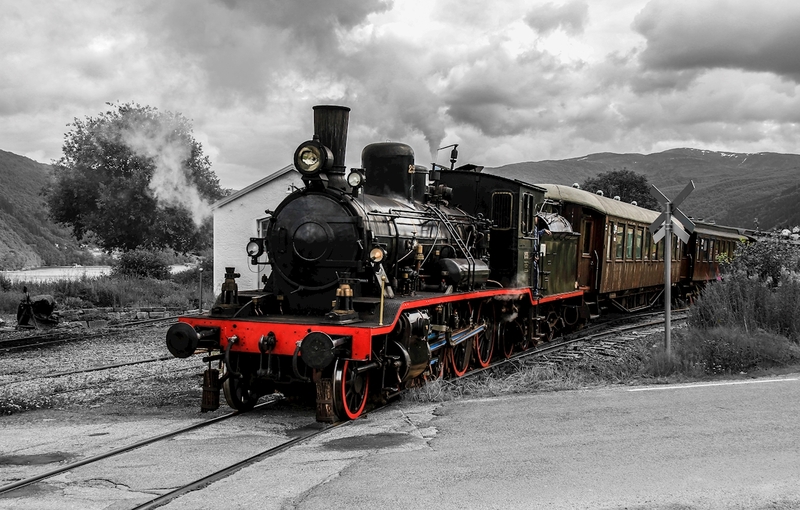 Picture of the locomotive driving on the old Vossabane outside Bergen. Today, the train runs from Garnes to midttun in Bergen. We print our wall art on demand, on exclusive, heavy 230 gram paper. The surface is a lovely matte and the paper is environmentally certified. For each print size you have the option to add a white margin. The margin is 2 cm for 21x30, 3cm for 30x40, 4cm for 50x70 and 5cm for 70x100. This stylish wooden frame is available in black or white. The glass is made of acrylic, which means it's unbreakable and very light. Remember to remove the protective film from both sides of the glass before hanging your pictures. Elegant silver clips, excellent for hanging our sturdy matte paper without damaging it's surface. Order a 2-pack if you only want clips at the top, or a 4-pack if you also want clips at the bottom. The clips come in 32 mm for our smaller prints and 57 mm for our larger prints. All our products are delivered within 8-12 business days via DHL. You will get noticed by SMS about your delivery and it will arrive at your nearest DHL Service Point. We do not keep prints in stock but rather print everything at your request. It is therefore not possible to order posters "on approval" and then return them. Returns must be linked to possible shipping damage or a complaint." You always get to option to get your prints with our without a white margin. The outer measurements are always the same (21x30 , 30x40, 50x70 or 70x100) but the image measurements will decrease when you add a white margin.